Exercising means for travellers on long distance flights. 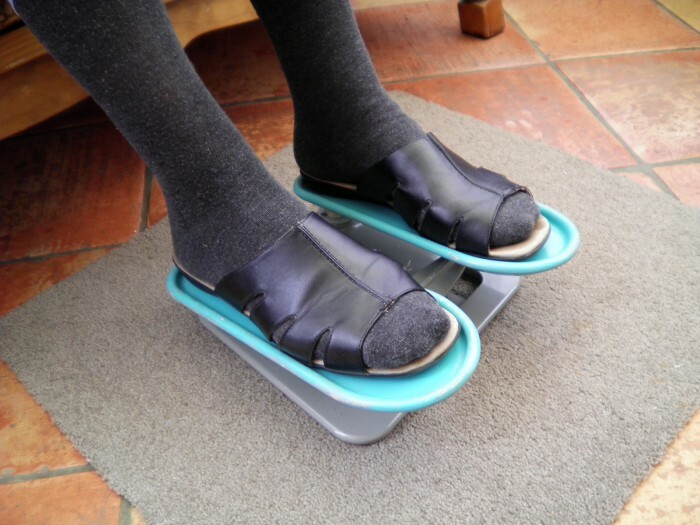 A lightweight, portable exercising device to enable a person to exercise their feet, legs and thighs when seated. 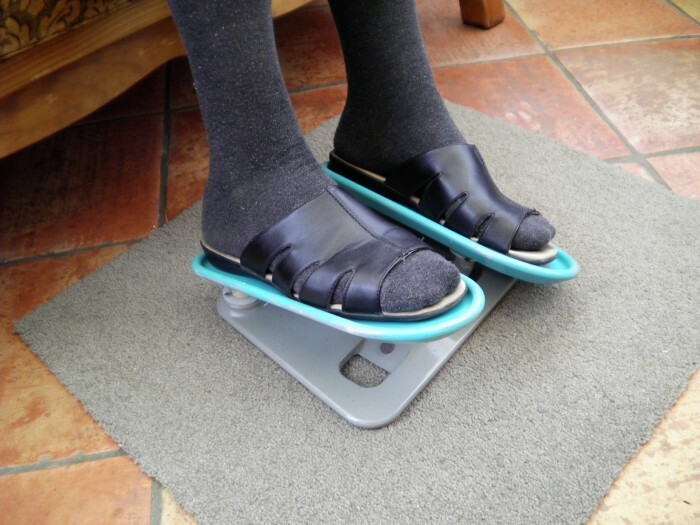 More particularly, the exercising device enables a person to simulate a walking action whilst remaining seated. When travelling long distances, as in international air travel, passengers are required to remain seated for long periods of time. 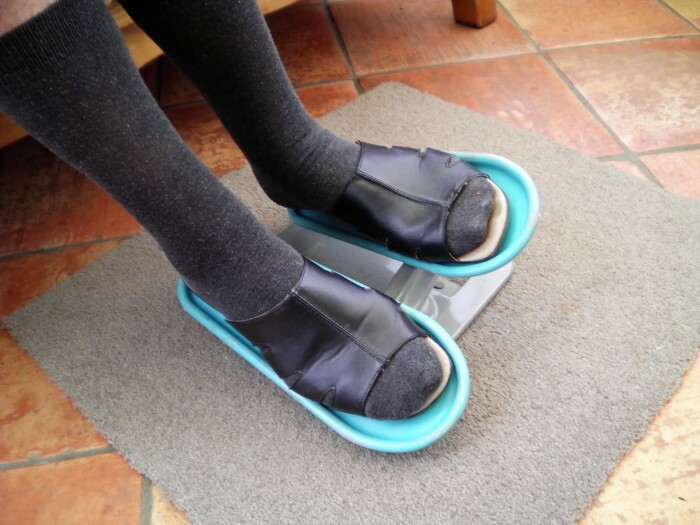 Long periods of such inactivity could result in limbs discomfort and the restriction of blood circulation. 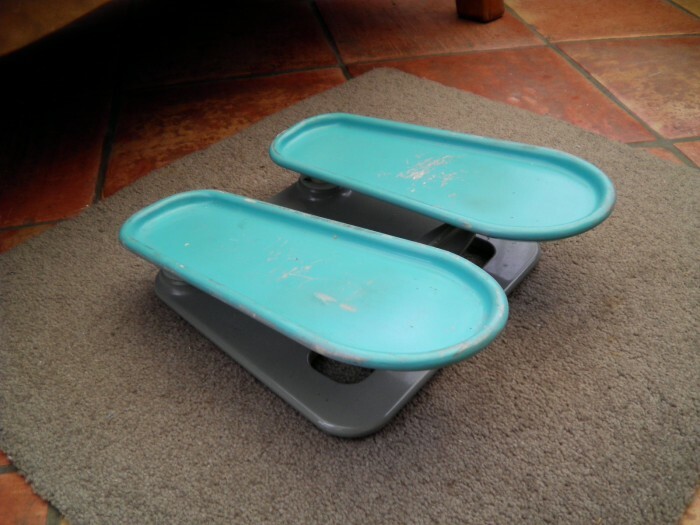 This in turn, could lead to swelling of the legs and feet. 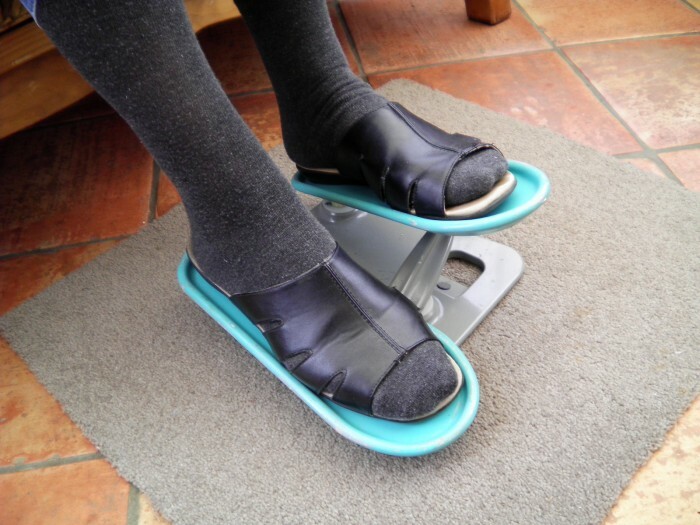 It is the objective of at least one form of the present invention to provide an exercising means which goes some way towards addressing the problem of seated travellers in need of a positive form of physical exercise. 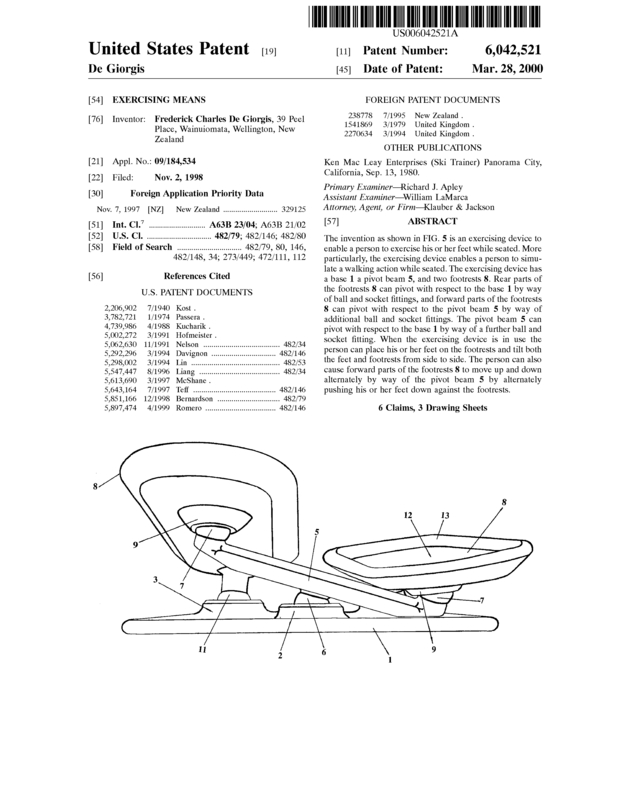 Page created at 2019-04-22 14:35:47, Patent Auction Time.